ETSG stood for Logistics Solution Delivered. This vision is in line with that of Laird, namely Smart Technology Delivered. 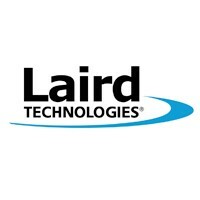 Laird delivers smart, technological products to various sectors. Of course, this requires the necessary attention to be paid to transportation. Under the new commercial name, Hannibal, there is no doubt that even more consideration will be given to the products and requirements, which are, of course, different for each customer, and the method of transportation will be aligned accordingly.